We created the logo for the Kansai Economic Federation. 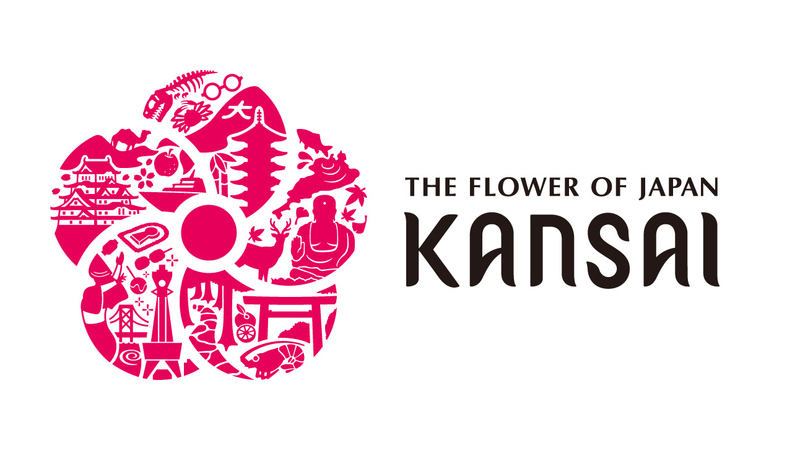 This logo was designed on a flower motif with the catchphrase "The Flower of Japan" and the idea of Kansai as a "flowering" area full of the traditional culture, industries, nature, food, and sightseeing activities of Japan. The abundant and highly diverse appeal of Kansai is represented by the addition of design elements symbolizing the "florid" aspects of the 10 prefectures who are a part of the federation (Shiga, Kyoto, Osaka, Hyogo, Nara, Wakayama, Tottori, Tokushima, Fukui, Mie). Dentsu's Kansai branch office made use of the Kansai badge in place of their regular Dentsu badges for a limited time. We also created an animated film to introduce the logo which can be seen being televised on the screens at the Kansai International Airport.